"I am very fortunate to have been able to spend my professional life helping employees get some measure of justice at work." 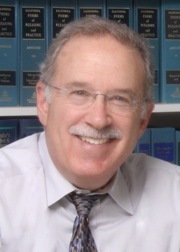 Jonathan Siegel, the founding partner of Siegel LeWitter Malkani has spent over thirty years representing employees. His experience runs the full range of cases from individual jury trials to class actions to arbitration and administrative hearings. Jonathan has enjoyed outstanding success in all forums, while building an enviable reputation as a formidable advocate, but one whose word can be trusted. Jonathan has successfully tried individual cases to juries, judges and arbitrators. He has received substantial six and seven figure jury awards in discrimination cases related to age (Tetzchner v. Unitank - Contra Costa), pregnancy (Byer v. Haider - San Francisco) and sexual harassment (Rogers v. ARINC - Alameda). He has achieved similar awards in arbitration hearings for employment fraud, wrongful termination and pregnancy discrimination. He recently obtained a substantial confidential settlement for a whistleblower in the health care industry. Jonathan has also obtained outstanding results as lead counsel in class action litigation of wage and hour cases. In 2009, he concluded a nine year battle in Conley v. PG&E which resulted in 100 current employees being re-classified to receive full overtime pay and about 700 current and former employees sharing in a $17.25 million dollar settlement. The trial judge commended Siegel and the firm for its skill and tenacity when he approved the settlement. Similarly, in Abel v. SF BART, finally resolved in 2007, Jonathan fought for eight years to see to it that over 15 job classes could receive overtime pay, and the affected employees could share in a multimillion dollar pay-out. He has achieved similar success in cases such as Grosvenor v. Steelscape which redressed an employer's denial of legally required meal and rest periods. Finally, Jonathan is unique among employment lawyers in also maintaining an active practice representing labor organizations. This has enabled him to sharpen his litigation and negotiation skills, to the benefit of all of his clients, through conducting several hundred arbitration and administrative hearings and helping to resolve dozens of collective bargaining agreements. In 2011, he succeeded in obtaining a rerun of the largest private sector union election in over fifty years due to unlawful election conduct, after a twenty-three day trial before the National Labor Relations Board. Jonathan enjoys high regard in the legal profession. He, like his partner Jody LeWitter, was recognized in the The Recorder Newspaper's "Top Employment Attorneys" issue, and he is a recognized "Super Lawyer" in the category of "Employment and Labor" attorneys. For many years, he has enjoyed an outstanding peer review rating from Martindale-Hubbell, "AV Preeminent," which signifies the highest ratings for both legal ability and ethics. He has been named one of the "Top Attorneys in Northern California" by San Francisco Magazine. He was also invited to join the Earl Warren Inn of Court in Alameda County, an invitation only bench/bar group. More informally, Jonathan is regularly honored to receive referrals from former opposing counsel and arbitrators and judges before whom he has appeared. Jonathan is regularly invited to act as an instructor or moot court judge for trial advocacy programs conducted by the National Institute of Trial Advocacy, Stanford University School of Law, Golden Gate University School of Law and USF law school. He has also been deeply involved at the Oakland schools attended by his two daughters. He served as the President of the Board of Trustees of St. Paul's Episcopal school, a K-8 school recognized nationally for its commitment to diversity and service learning. He recently completed his service on the Board of Trustees of the College Preparatory School, where he chaired the facilities and strategic planning committees. Jonathan was raised in Bayville, New York, on Long Island. He received his bachelor's degree at Wesleyan University in Connecticut, and worked his way through law school at San Francisco's Golden Gate University, graduating in 1977. After law school, he worked as staff counsel for the National Labor Law Center in Washington, DC before returning to Oakland in 1982 and starting the predecessor of this firm.